The hallway panorama is in! It looks pretty impressive, if I must say so myself. A major improvement. 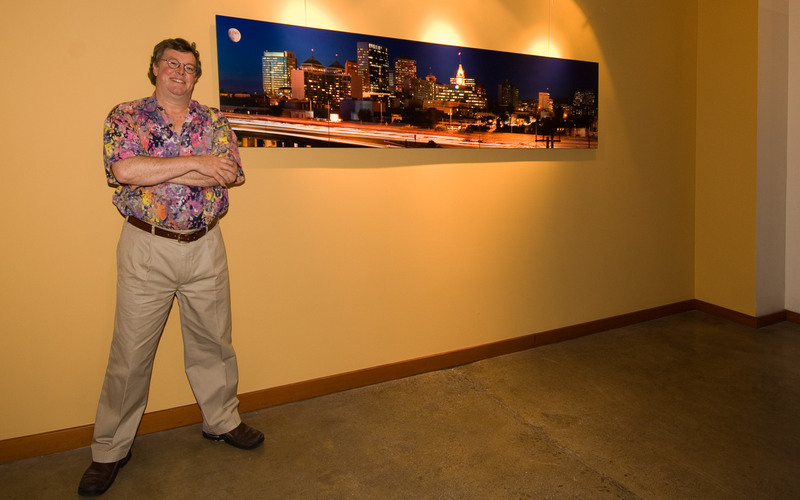 The nine foot wide print was made from a 10,000 pixel wide image consisting of four time exposures – approximately 30 seconds each – shot with a Nikon D2X. I used PhotoVista to do the stitching; Pictopia did the printing. Even though the final image contains just 108 pixels per inch, it looks great. Plenty of detail – no pixelization. It’s incredible what you can do with digital technology these days! Breathtaking Dude!! The intense ultra blue is totally set off by the gold wall. Boom!